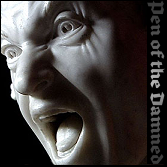 November’s group flash collection from Pen of the Damned! One photo, nine writers, nine different interpretations of the horror one sees at a glance in something as innocuous as a family photo! 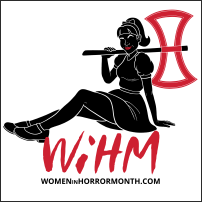 Horror is a heavy word. It distorts the image of safety in your mind, invades your mental and physical barriers, and everything you believe will protect you melts. We’re reminded of how fragile life is, how vulnerable our minds can be. Horror is everything dangerous and painful about being human. Authors of classics like The Exorcist, Hell House, The Hellbound Heart, executed horror stories with an assassin’s skill and grace. The tales were well-wrought and proved sacred ground isn’t always safe, and there’s nothing on the planet that can’t be harmed or desecrated. Nothing is safe. These books raised the bar, and helped horror become a force to be reckoned with. It’s always good to keep the classics’ standards and expectations in mind, but obviously not to copy them. There’s still some bloody terra incognita to uncover. Technology is great. I love it. It’s always developing, which means there’s always a playing field. 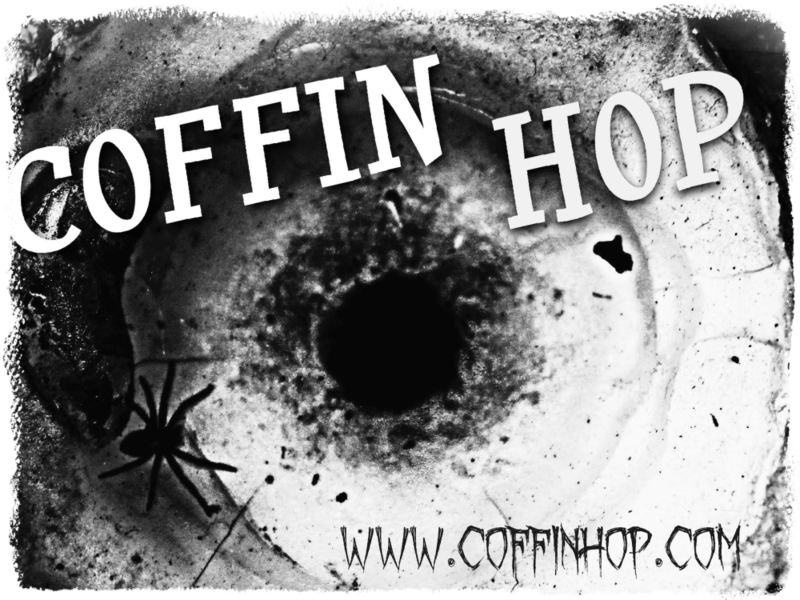 Benefiting a horror writer, technology is relevant to the point of great and terrible awe. What was considered science fiction has become (or can become) actualized in the real world. For example, take the circa 1902 silent film, A Trip to the Moon. In the movie, folks are shot to the moon. Over a century later, we have an international space station. Quantum computing is around the corner, and the Chinese have teleported a photon to outer space. We have profoundly interesting breakthroughs with artificial intelligence, and we have learned that Facebook’s AI had created its own shorthand form of English, communicating in way humans couldn’t understand. That raised major concerns, and Facebook had to shut the AI down. We also have mass surveillance, and algorithms predicting human behavior with more precision than humans. Bionic limbs. Augmented Reality. Virtual Reality. To boot, I’ve also read about a pending head transplant. Many developments are fantastic and can be beneficial, but alas, it’s horror’s job to point out what ‘could’ go wrong, what we don’t want to happen, and what would genuinely horrify us if it does happen. Technology is the cornucopia of ideas, and a dark fiction writer’s dream—speaking for myself at least. A blend of science fiction and horror resounds on a realistic level. Highlighting subjects that are culturally relevant, and developments that might impact humanity’s future, can be steered in deeply horrifying directions. Many of us grew up with love and respect for science fiction and horror. The genres remain to be the most important styles to me, and I hope my love burns hot in Screams The Machine. Of course, throw some dark fantasy in there as well and the deal is sealed. Science fiction and horror can wreak serious havoc in the best way possible. The two unleash some bionic madness, expanding the readers mind and hurling them for a strange flight through the phantasmagoric and macabre. I hope Screams The Machine does a fraction of what great books like Richard K. Morgan’s Woken Furies, Steve Nile’s comic Criminal Macabre, and so many more have done for me: Tap ‘dat brain. Cash carries a disease; one that’s already killed a large majority of the population and something needs to be done. To stop the crisis from escalating, The Solution (a worldwide organization) is formed and rises to great power. They monitor people’s dreams and shape reality to fit their own wants and needs. In an effort to control existence itself, The Solution is searching for what they believe to be the ultimate tool; a person with the ability to master a deep connection with the mysterious, pervasive energy known only as The Ultimate Reality. Watching her neighborhood decay, her friends and family perish, Elizabeth Reznik needs to find meaning in her life. She discovers her existence is more meaningful than she could ever have imagined. Operatives of The Solution seek her out, take her from her home and perform brutal experiments on her. Their conclusion? Elizabeth is the one they have been searching for; she is the key to gaining complete power. The stratagem of The Solution is single minded – own the resources and you own the people. And the last resource available is free will. They will own your thoughts, they will orchestrate your dreams; they will dine on your fears. But there is always a cog in the machine… or in this case, a scream. Sam Mortimer has worked the graveyard shift in law enforcement, attended film school, and has been writing strange stories since age eleven. He loves reading, music, and strives to meet the demands of his five cats. I write fiction. It is dark and filled with the things that go bump in the night. In the end, the sun rises and hope fills the world again. Sometimes, what I write for fiction doesn’t hold a candle to our reality. Think of speculative fiction as a mirror. What does the reflection look like when we gaze in to it? The world needs speculative fiction to make sense of what is happening in reality. One can’t watch the news without seeing the horrors inflicted on fellow human beings on a daily basis. When I write about the unreal, I try to rationalize the real with it. It is hard to explain why people can be so cruel to each other. Yes, it’s human nature, but placing the blame on an evil presence, or on the supernatural, is easier. Fiction is also an escape, but what are we escaping from when we read? Is it an escape when what you read isn’t any happier than reality? I watch the world go by and it saddens me. I use fiction to help sort my thoughts out about it. Writing fiction is a cathartic exercise to express the fears and concerns I have for the world. Zombie fiction is a great mirror for the world. I use it to judge us. The genre has moved beyond the Romero comparisons to how mankind is being turned into zombies through commercialism. I use the zombies as a backdrop now to explore humanity. Instead of how do we get to the point of zombies, I write about the survivors and at what price will a person pay to live. We see on a daily basis the lengths people will go to in society to live, heck just to survive in some cases. But when the constraints of society are broken down and removed, how much will the living regress? When inspected under the mirror, not much more. In the end, we use fiction for what we need it to be. If you need an escape, a coping mechanism, or a way to reflect; speculative fiction is there for everyone who chooses it. Maybe when you watch the news or look out the window, you can see behind the veil of this world and imagine what lies beyond. Pick up the book on the table next to you and escape. Escape into other worlds and enjoy the break from reality. What do you see when you look into the mirror? A sublimely haunting piece by A.F. Stewart written in prose as beautiful as the tale it delivers. #NGHW Winner of the Poetry Challenge! Julianne Snow and I were fortunate to be invited on as guest judges for the fifth challenge of The Next Great Horror Writer Contest hosted by HorrorAddicts.com. Here is a sampling of the wining poem by Jonathan Fortin – A Warning on Wings. 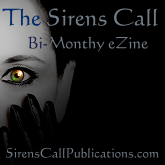 upcoming issue of Sirens Call Magazine. A beautifully written tale of devotion and horror by Lee A. Forman. ‘Serpentine Willow’ on Pen of the Damned.